Do you have a favorite gemstone? 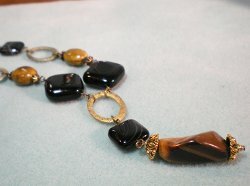 Do you want to make a beautiful bracelet, necklace, ring, or pair of earrings with it? If you do, then this collection of 24 Glamorous Gemstone Jewelry Making Ideas is just for you! Whether you love turquoise, topaz, onyx, agate, peridot, quartz, or other captivating and stunning gemstones, this list will have a project that will showcase your favorite gem in a beautiful and becoming manner. Whether you are skilled at jewelry making or just a beginner, this list has projects for all levels. Instead of just making jewelry with colorful seed bead patterns or stringing together shimmering clear crystals, add more clarity and boldness by making a DIY jewelry piece that has both sparkle and color with these glamorous gemstone projects. No matter what season it is, gemstones are always chic and stylish, so don't hesitate making one or all of these fabulous DIY jewelry making ideas. New to DIY jewelry making? Need to brush up on some jewelry making techniques? Do not worry if you answered "yes" to either of those questions. 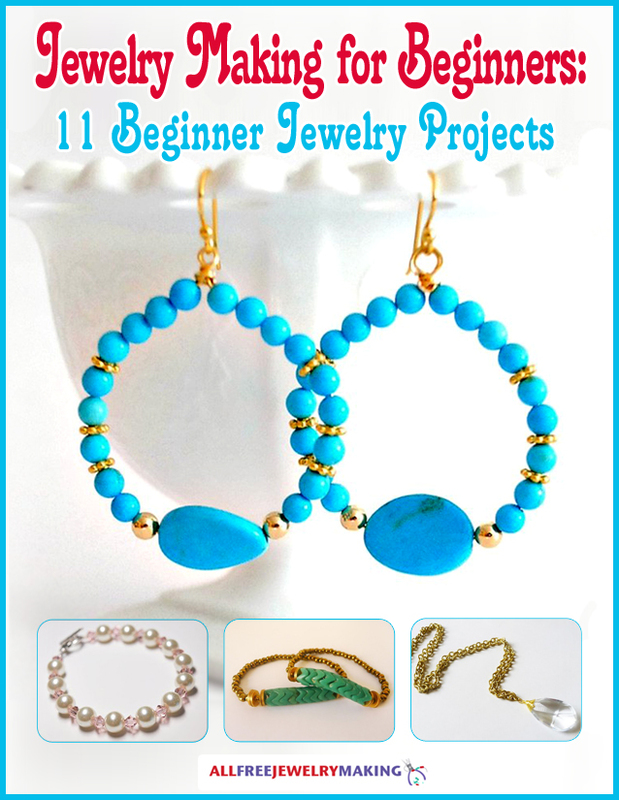 All you have to do is download our free eBook, Jewelry Making for Beginners: 11 Beginner Jewelry Projects; with it, you will be ready to tackle even the most difficult of jewelry projects! Do you desire even more stunning gemstone jewelry patterns? Check out our section on gemstones. From bracelets to earrings to pendants, we have every beautiful pattern you could ask for. 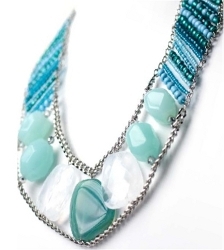 Strung necklaces, rings, and bracelets can result in a simply elegant DIY jewelry piece or a captivatingly bold one. Either way, they are fun and easy-to-make, while still having an intricate enough design that they "pop" with character. Learning how to make wire jewelry is both fun and rewarding. With these wire jewelry projects, you will not only learn how to make wire necklaces, bracelets, and more, but you will also learn how to wire beautiful gemstones and beads together for breathtaking results. Did you love making the wire jewelry projects above? 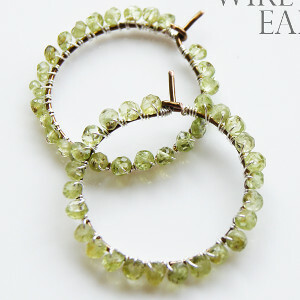 If you did, you will also love the DIY jewelry projects in the collection, 42 Simple Wire Jewelry Making Tutorials. Wire work jewelry has never been easier! Brighten up your chain bracelets with glittering gemstones and fancy stitched patterns. With great instructions and beautiful results, these DIY jewelry projects will soon be favorites!